BlackBerry comes up with a pure version of android smartphone at last. We all know how troublesome it was using BlackBerry OS with the neighboring support of only some of the android apps from Google Play Store. Priv the touchscreen and keyboard duo smartphone is different from the perspective of design ergonomics to the security features it offers. BlackBerry Priv has a new design, seems like BlackBerry couldn’t forget the love of keypads for phones yet. It is quite a bold move in this era of feather smooth air-gap touch technologies to have a slider keypad right under the screen like old times. This screen is slighted curved at the edges and a speaker was placed right under it. The design is quite new and unique and is for those who love the uniqueness from similitude. Security is the escalated feature of this phone which surprisingly don’t have fingerprint bio-metric security feature about which when asked the CSO of the company, David Kleidermacher have said that BlackBerry don’t believe in fingerprint bio-metric security as it is very easy to hack in to it. For that question how this new BlackBerry Priv is going to keep the phone secure, he replied that they are going to use the conventional security pass-phrase and security PIN for security. To answer the yet poking question, what makes BlackBerry secure if not even used the fingerprint technology, DTEK security monitoring application answers sounding loud and fierce. This application focuses on the poor privacy policed applications that are installed and the type of private data they take from your phone. It monitors suspicious activity of the camera, microphone, messaging applications along with the monitoring of access to crucial private data like contacts and location. BlackBerry Priv is now available for pre-order in UK available at upfront payment of £59.99 with the monthly rate of £39 or £579.99 SIM free. We’ll take a deep look in to its specifications and sort out the pros and cons of the device very soon. Stay tuned to Amfas Tech via social media or email updates. See you soon with detailed review. It’s a new age for India. Prime Minister Narendra Modi has introduced ‘Make In India’ campaign which forecasts the growth of Information Technology industry giving a good hope for Business Processing Management job market. BPM meets the goals of the organization by implementing the feasible framework approach and in the case if IT industry the scope has been elevated with the introduction of ‘Make In India’ campaign. Before we dive into the top best list definingthe great place to work (in Indian IT-BPM companies), I would like to share the facts and the reasons why you should throw a glimpse on the small size organizations rather than larger ones. The make in India program provides an opportunities to setup IT services, BPM, software and shared service centers for aspiring entrepreneurs and already established small size organizations. The support from the government to such aspirants and organizations motivates them to develop in the industry with the rapid speed. Should I be telling you that working with an rapidly growing organization helps the careers shine with the same glow? So, you’ve got a reason to work for small size IT-BPM organization but which among those top companies are the best to start your career with? Here we go! TO THE NEW Digital is a premium digital services company (formerly known as IntelliGrape Software Pvt. Ltd.) that combines the power of technology, analytics, marketing and content for digital transformation. They are a team of 600+ people including technology evangelists, social media experts, content specialists, and creative mavericks who have transformed businesses of more than 300 companies spread across 30 countries worldwide. They are also a strategic partner of many global companies including Google, Amazon Web Services (AWS), YouTube, DataStax and MongoDB and is trusted by 20+ top industry leaders.To the new Digital is always serious about a having fun. They believe that a happy employee can make happy customers. Who don't want to join a company like that? Established in 2008 by seven entrepreneurs, Travisca Solutionshas grown up to 300+ employees as of today excelling the world class online travelling interface products by solving the key problems in it. The solutions they provide in creative design, product development and mobile application development have helped several travel agencies both online and offline, destination management companies, tour operators and consolidators. Travisca believes in right of equality of growth and so provides an opportunity to the employees to grow with the organization. That implies if you could help company grow, it helps you grow back. Established in 2006, OSSCube Solutions is a 100% promoter funded company backed by successful serial entrepreneurs. They have served 50+ industry leaders as clients including Google, Yahoo, Trend Micro, LinkedIn and more. They specialize in creating Big data Solutions, Social networking sites, ecommerce applications, mobile apps and games. Every recruit will be treated as a potential leader regardless of the position and department he joins in OSSCube. The freedom and integrity kind of culture will give an opportunity to anyone to implement their ideology in the organization thereby in their careers as dreamt. McAfee. Part of Intel security is one of the famous dedicated security technology company that delivers services and solutions related to network and system securities for an organization or an individual. They specialize in making, anti-malware, anti-spyware, antivirus and security management software products reducing risks and improving secure business operations. With the support of award winning research team, McAfee is pronounced as threat detecting intelligence business solution in the industry. They are obsessed with safety and security, even in case of their employees too. They believe in bringing out the best of their employees by rewarding the best benefit packages to them. Who don’t love rewards from workplace? Hitachi, being the inspiration to the next generations believe in creating futuristic information management and social innovation IT solutions. They now help companies establish software-defined infrastructure to improve IT agility and flexibility with more than 6K+ employees speeding over 100+ countries. India being one of those 100+ regions with 200+ employees on board, Hitachi Data Systems honors the integrity, honesty, trust and pioneering spirit in their personnel. That’s it! Those are all the best 5 of topsmall IT BPM organizations. Always remember to choose a company that makes you happy. Happy job is everyone’s dreamafter all. The fight between #NetNeutrality and #InternetBasics by Internet.org has turned a foul turn this time. The internet.org had got a lot negative push from the net neutrality supporters, so they renamed it as ‘Free Basic Internet’ and promoted it on Facebook walls compelling the users to click ‘Yes, I’m in’ button. The absence of ‘close’ or ‘not interested’ button lit a spark in majority of the users and it went down after campaigning for few days. The prime minister of India (2015), Narendra Modi have started a great initiative to make India a true digital hub to the world. As a part of the mission, he met the CEOs of the top tech companies that includes the CEO of Facebook, Mark Zuckerberg. Mark Zuckerberg have changed his profile picture with overlaying tricolor Indian flag as showing support for Digital India campaign. This made Indians proud of being the citizens of the country like occasionally before. So, people started changing their profile pictures using the suggested link that indirectly votes support for internet.org which is against net neutrality. There are supporters for both the causes. Both have their own positives and negatives as well. An idea won’t be promoted with no benefits at all but, the problem is that it should fit the luxury of freedom of usage of the people it is meant for. Any campaign should not be elevated or taken down if it gets negative feedback. As it is not meant to be another business venture, it should not be insisted up on the people or evil extort the votes from them. Whatever the support anticipated, that should be taken with the honest approval of the users/participants it is meant for. It is as same as manipulating the EVMs during elections to tunnel votes only for a single nominee. How worst it is if you vote for candidate ‘A’ and it counts into his opponent, candidate ‘B’ in the background? The same is happening with Digital India campaign-tri-coloring profile picture on Facebook. Easy. You will find a pinned notification on your news feed asking you to support for Digital India with two familiar buttons, ‘I’m in’ and ‘Not now’. Just close the notification by clicking on the ‘x’ mark on the top-right corner. How not to support internet.org blindly and support Digital India consciously? Do not wear tricolor flag just as the one Mark Zuckerberg and some of your friends are wearing. If you truly want to show your support, go conventional. Hash tag #ISupportDigitalIndia on social media and it is the best way to show your support to this futuristic initiative. The sad part of the story is, Narendra Modi, the honorable Prime Minister of India too have changed his profile picture to tricolor overlay as soon as Mark did. Does this mean anything ? What do you think? Is it the end of #NetNeutrality? We’ve encountered another copied guest post submission on Amfas Tech. This time it is submitted by one of the middle level representator of a coupon site. Is It The End Of Windows Live Writer (WLW)? Windows Live Writer (WLW) is an exceptional piece of software that Microsoft has ever developed for bloggers. The simple and effective WYSIWYG interface helps a lot in creating neat and tidy content on the blogs. In the past, we have seen how to download and configure WLW in a step-by-step process and it will go in vain. Because, the software is no more connecting to the blogs. It is showing authentication error that can only be solved by the Microsoft. Unfortunately, Microsoft has stopped responding to the queries made regarding this tool since the long past only. They haven’t talked about it or mentioned about releasing of any update after Windows 7's. 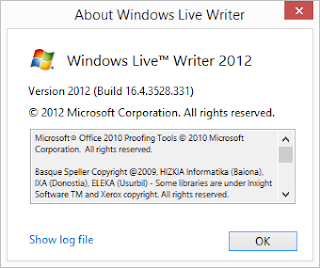 The last version of Windows Live Writer released was WLW 2012 build 16.4.3528.331. Why Microsoft is ignoring it? It is the million dollar question tingling in every blogger’s mind. Why is Microsoft ignoring the most wanted blogging tool? Is it because it has to be made available free? I have a hunch that Microsoft discontinued this product because of the existence of a level of vulnerability to hack. If you remember, you had allowed access to ‘less security apps’ in your Google account to connect your blogger blog to Windows Live writer for the first time. Well, that means this tool is a less security application with the chance of getting the control ‘out-of-hands’ from the authorities. It is not just the case with ‘Blogger’ but also with WordPress. On the support page of WordPress.com, you could see this following notice of compatibility stating the uncertain development status of this program. Scott Hanselman from Microsoft tweets about revamping of Windows Live Writer tool in 2014 but it is no wonder if could not see any update about it till now as you are. I'm in a meeting right now talking about a possible future for Windows Live Writer. I think 20k RTs of this would help. This is the reason why the existence of windows live writer is more questioned today. So far, bloggers were happy with the current 2012 version of the tool because, no major problem was pointed out except a few glitches over time till today. But now, Google, as said in the past, has shut down the older authentication system and provided proper help and support to use the new one, OAuth 2.0. Several blog publishing software developers have updated their tools with this new upgrade but Microsoft. What does this behavior mean? Are they ignoring it purposefully? If every other blog publishing software developer can do it, why can’t Microsoft, being the ruling technology company in the world? Yes, it seems like Microsoft is ignoring it purposefully. 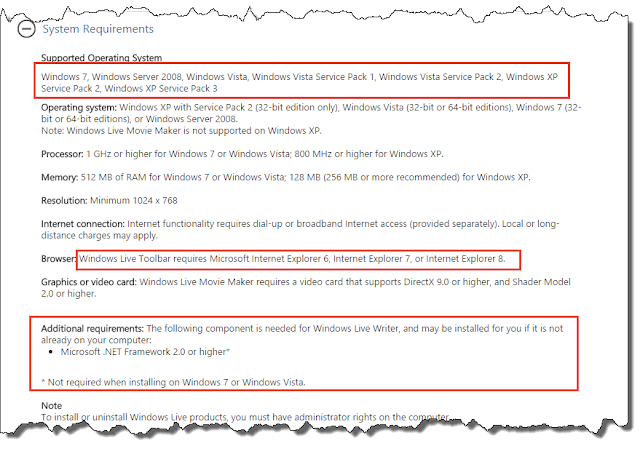 If you check out the Windows Live Writer page on Microsoft, the lastly supported operating system shown would be Windows 7. What do you think? Will Windows Live Writer rise from death? Or do you have any best alternatives in mind? Feel free to share them with us if so. Update(02-Jun-2015): Windows Live Writer started working again like before. Hope Microsoft is cooking up something about it. A desktop computer would supposedly be a powerful machine, sitting in front of which you can carry out many daily business tasks. A mobile phone on the other hand is also a daily tech companion which is embedded in our lives and real-time needs. When it comes to personalization, everything counts. It is the ability to blend the gadgets the way we like to live our routine. Ability to customize a digital gadget is a good thing. Or else you’d have to blend your life in reverse to use them. Wait! Before we start, let’s talk a bit about the ‘actual’ personalization. Personalization is customizing something according to your likes, needs and comfort. In case of electronic gadgets like mobile phones, personalization is building an attachment with them in your daily routine. We actually use and depend on them for performing daily tasks. Their loss can be easily identified and felt difference. Can’t we personalize desktop computers? Of course, we can. But the levels of customizing is limited to a place or mood. You don’t want to switch-on your computer in times of sickness or no work, but you will still hangout with your mobile phone. What do you think is the reason behind it? Specifically, it might be the ability to handle and use them with ease even from your sick bed. Hold the thought and let’s get started! Mobile phone, the name itself says that it can be carried with us anywhere. Mobility of goods is a great personalization feature. Things we need with us all times must be allowed to carry. Something like carrying a wallet, carry a wrist watch, carrying a mobile phone also comes under this. If we talk about mobility, style comes to the concern. A desktop computer can never be installed with stylish back covers in colors but we can do it with a mobile phone. You can change the mobile phone covers and shells to match up your attire according to situations. Surprisingly, style is one of the factors why people actually struggle to buy a mobile phone that matches their style. That is why companies revamp their product designs for every new model released in the market. People buy anything online now. In fact, people buy anything from their mobile phones now. The sophistication of shopping from home has been optimized to shopping through mobile from anywhere. You may not have to get up from bed and sit in front of a desktop computer to go online shopping. Haven’t you noticed the ecommerce sites going completely mobile very soon? What you think might be the reason? It is the possibility to personalize a mobile phone better than a desktop. It is not merely possible to customize your communication preferences on a desktop whereas you have full control of receiving calls and messages on a mobile phone. You can keep the conversations private on a mobile phone but cannot get that privacy on a desktop computer at home or office. After all, many desktop computers at home are used by more than one person. So, it would not be easy to protect your conversations from being watched on a large screen. Though you use different accounts on a computer, the admin or parent will still have access to the rest of them anytime. A mobile phone is no more a device to make calls. It is 2015 and the mobile phones we are seeing today are well evolved in terms of technology. A mobile phone which is also called a smart phone today is embedded in our personal life that a desktop cannot do. One can just speak to their phone to perform tasks on the phone. We can personalize it in sync with our timings. It reminds us about our meetings, daily schedule, birthdays and performs other important automated tasks. Yeah, a mobile can walk miles with you. The adaption of GPS hardware technology and Google smart maps software technology have brought drastic changes the way a mobile phone is used. It will assist you, help you and walks with you as long as you go proving the old saying “If you can talk, you can walk through the world” wrong. Now, even the dumb and deaf can do it, breaking all the inability limitations. Mobile phone is not actually called a ‘mobile phone’ these days. It is called the’ smartphone’ because of the possible things it can do. After mobile phones started having digital cameras, the need to get one separately has dissolved in time. You can shot the moment right away when you feel like taking one. Also, there available the pre-installed photo editors which make the frozen moments twinkle. Mobile is not just a mobile phone anymore. It has been evolving to serve multiple purposes of a human being. The mobile phone, so called smartphone which we are using today has gone through many mutations and many more yet to come. Though it is funny, it is true that a smartphone today is used to make calls less often and do more daily tasks mostly. Moreover, the technical specifications of smartphones today are over smarting the desktop computers. The sales graph of mobile phones in the past 5 years shows how personally they were embedded in people’s lives. Now tell me, how many times do you look at your mobile screen in a day just to make calls? This blog post is a part of Blogger Dream Team contest on BlogMint. The views and opinions shared in this blog post are framed with a perspective of ‘Technology – a boon or bane for cricket world cup 2015. People are all senses, in terms of technology. This adaption of technical innovation by human race is motivating the scientists to develop more sophisticated technologies in short time spans. Imagine the time, five of years ago, where you loved watching the nerve cracking action of cricket on your LCD monitors. If you go back in time and watch the same match again, would it be any longer interesting? Definitely, No! Because, you have had better quality experience than that in these five years. Haven’t you? Yes, of course you are. So, your expectations for tomorrow would be beyond what you have seen today. That’s what happened before those five years. You have seen better technology than CRT screens, called LCD screens and they are improvised to LEDs with the ability to render 4K HD resolution. Having 4K HD screens in homes cannot bring the action live in to the room. The similar synching technology to capture the game with high power, technologically improvised cameras and equipment presents you the quality of the picture and the sound truly. Not just HD recording and HD televisions give you true experience, but don’t forget, the broadcasting technology also plays its role in bringing the life to the sport’s action. Technology not only changed the experience of watching the cricket on your home screens but also the real play on the ground. It have brought some changes in the gameplay setting new rules and relaxing some regulations giving more space to accurate decisions and players’ comfort. Remember the moment when Steve Bucknor took a wrong decision when Sachin Tendulkar was in crease back in 2007-08? How much will such a decision show its impact on the rest of the game is never not expected one. After the adaption of highly powerful slow motion cameras on the field, both the teams on the ground had got a chance to challenge umpire’s decision. An accurate decision would not only serve the justice but also puts pressure on the umpires and makes them awake and keenly observe the play. Accurate decisions also reduced the controversies after the match, against the teams and umpires’ actions with pre-match fixture accusations. Slow motion camera have also brought the feasibility to the third umpires to take decisions with less brain storming. The improved FPS(frames per second) capability of cameras made it possible to take decisions in the match simply. Every match would be played like a battle and every battle needs strategies to win. In the past times, players just used to replay the match videos in their locker rooms and assess their and their opponents performances. Catching the weak and strong spots of a field or a player was so difficult with technological limitations those times. Today’s technology started showing the players’ performance graphs with clear facts and in understandable formats. This helps teams brush up their skills on the ground to hit opponents hard, thereby giving a spectacular battle to enjoy. Remember, teams chasing out 300+ scores easily in ODIs these days? What do you think helped them hit hard the opponent? Technology of course! Cricket, when it was just limited to playgrounds decades ago, had the chances of capturing limited leads. Only some local brands and some renowned national brands could find the marketing opportunities expecting the business, that too, with in the country. Cricket, in the early ages of television, had expanded the market scope to worldwide. Business found venturing in series like world cup highly gaining than any other market venture in a year. Businesses grew bigger and reached more potential customers. In this age of internet, the business opportunities are innumerous where they started to born through creativity. Forget that, If you are blogger reading this article, have you ever not thought of writing an article on cricket matches in world cup season? Yeah! That’s my point. Technology, in all ways have changed the gaming and game-watching experience of cricket and the series like World Cup. We can talk more widely on this topic for limitless time and the discussion would never end if kept on continued. Thanks to all those researchers, inventors and innovators for what they gave us today for a sophisticated life to live. Who is a Professional Blogger? Money Talker or a Reader? Blogging, the new age career option which needs a real courage to take up for life. It might take another decade of two to accept blogging also as a profession and that day, I am sure all those professional bloggers who are now the role models of budding one’s might be called as ‘the fathers’ of blogging in future. I know it is hard to tell your parents and those aspirant neighbors that you took up blogging as you career without you earning as much as ‘they’ do. I mean as those daily job doers. Do you know the same thing happened with the movie actors during the birth of cinema all over the world? Who are they now? Aren’t they your fashion role model? Aren’t they your life’s role model? Would you miss a chance to act in movies if given a chance? You would never say ‘NO’ as it could make your career rich for life. Let’s consider that you took up acting and you became one of those top grossing actors in the industry in 10 years. Would you then be called a professional actor? Let’s consider you truly had that passion for acting and you barely got a chance to act in movies, yet you had those skills and can easily make yourself into the character that is given to you. Would you now be called a professional actor? Yeah! I remember it is not a movie blog to discuss about acting. Let me come to the point now! In my journey with blogging, I’ve met many bloggers of which some always talked about making money and some others who never. The money talkers seemed like have been earning something from their ‘doing’ and gave me a thought as if they are desperately looking for some fanatic attention towards them. Because fans become readers. Don’t you think? The non-money talkers seemed like non-earners, yet they are earning handsome figures in real. Though, they don’t talk about the money they earn, they had always be in news with ‘being-thanked’ kind of notes over the social media. In fact, these bloggers show a lot references in their articles where as the money talkers don’t give much. Isn’t it showing that the non-money talkers read much? Who do you think are the professional bloggers? The money earners or the readers? Whoa! Wait there! This article is not against money talkers. I know that they are proud of themselves and their achievement with their blogs. I am just trying to put up the metrics that can measure the professionality of a blogger here with your help. Please share your thoughts and opinions about it in the comments section and I will add them to this article by giving credibility to your enlightening thoughts. The presence of your knowledge will help many fellow bloggers and can make this blogosphere shine. Thank you so much! Waiting for your opinion too :) Share it in comments below. I’ll add it up here! This article is submitted by Brent Hale, a computer hardware and 3D printing enthusiast. He runs 3DForged.com where he aims to help first-timers get into the world of 3D printing by offering guides, reviews and industry news. When you think of 3D printing, what comes to mind first? Chances are good that you imagine consumer-based 3D printers (like these) that allow hobbyists and inventors to bring their visions to life, or to print replacement parts at will. That’s certainly one face of this technology, but additive manufacturing is also much, much larger than that. In fact, it has impacts on a tremendous range of global industries and, according to Forbes, “the potential to rebalance global economies”. From manufacturing to housing to food, the new technology has already made a tremendous impact, and that effect is only going to get stronger. Business Insider surveyed 624 firms in a wide swathe of industries and found that 60% of them were currently evaluating 3D printing technology for its potential. As 3D printers continue to shrink and become more affordable, you can expect more and more businesses to get on board. Still, you don’t have to wait for some future date to gauge this technology’s impact on our world. It’s already revolutionized a number of industries. We’ll explore some of those most strongly affected below. Manufacturing has been significantly affected by 3D printing in a number of ways, but none so much as prototyping. GE is a prime example of a company harnessing 3D prototyping to change its business. By printing components for prototypes, companies are able to deliver faster, more accurate results for a fraction of the cost with older methods. It goes beyond prototyping, though – GE Aviation is manufacturing jet engine fuel nozzles on 3D printers already. Even the US military is getting into the act here – replacement parts for vehicles, body armor, weapons systems and more can be printed with relative ease and lower costs. If there’s one sector where additive manufacturing has really stood out, it’s in the world of medicine. The Internet is rife with news about how 3D printers have changed the process of creating prosthetics, and even enabled patients themselves to have a hand in designing and creating their prosthetic limbs. Of course, that’s only one example. 3D printers have been used to create everything from sleep apnea treatment devices to organs and body parts. Even artificial implants are being printed these days (think metal hips). The fashion world hasn’t been exempted from the 3D printing revolution. In fact, it’s embraced it. Bold designers and fashion moguls have printed everything from purses to shoes. One company (Nervous System) even created the world’s first flowing 3D printed dress. Granted, it took 44 hours to print, but that’s nothing a little ingenuity and dedication won’t overcome. In the future, look for 3D printed clothing to become a viable choice in the marketplace from big name designers and mass-market companies alike. Education might be the least surprising of the 11 industries listed here. The benefits of 3D printing for students, schools and even homeschoolers are readily apparent. When students can print everything from a globe to scale models of cities around the world, it’s no surprise that education has benefited from this technology. Those benefits will only grow as more and more schools secure their own printers, and more households adopt this technology and discover how much it can aid in the education process. If you missed the news story, additive manufacturing is already in space. The world’s first outer space 3D print went off in late 2014 aboard the International Space Station and was a huge success. However, it’s not just NASA and the ESA that are using this technology. Aerospace manufacturers are increasingly turning to 3D printing for prototyping, and even component design and manufacture (like GE Aviation mentioned previously). While it’s most prevalent in research and development sectors, there are 3D printed components in many aircraft currently in the sky. Do 3D printed homes sound like science fiction? Rest assured that they will be a reality, and in a much shorter time than you might imagine. One nonprofit is currently considering using this technology on a large scale to provide better housing for residents living in Brazil’s overcrowded cities. It’s being used to create temporary shelters and housing for refugees as well. It’s only a matter of time before you can order a complete home printed by your local contractor. Think your car is solely the product of an assembly line? Think again. Several companies already use this technology in prototyping and part testing, including Ford. However, others are actually using 3D printed components in production vehicles. With the current state of the technology, though, smaller production run, high-end vehicles will be the first to adopt this technology on a wider-scale. For instance, Bentley has already announced plans to implement this technology, and several others are considering component printing, and even the printing of entire cars. In the hobbyist sector, there are already cars on the road constructed solely from 3D printed components. When you think about electronics, the first thing that comes to mind is, well, electricity. However, it should really be plastic. What’s your cell phone body made from? While glass and aluminum are used, plastic is the primary material here. Inside that cell phone, what do you find? Circuit boards made from plastic. Plastic is the primary material for the electronics industry, from 4K TVs to smartphones, tablets, computer monitors and more. Because of that, electronics are a prime example of a market that would benefit greatly from the cheaper and more additive manufacturing. Its also been responsible for number of innovations in this sector, allowing developers to create smaller, more compact circuitry and advanced features. 3D printed food is nothing new. It’s been at least a concept since the 1950s, but now it’s a reality. Granted, most of it either doesn’t taste like much, or it’s largely a product made with liquid sugar, but there are new options coming to market. Hershey is one example of a company putting this technology to use in myriad ways (and eventually in the production of consumer-facing products). Additionally, new technologies promise to make it possible to print food that actually tastes like what it looks like. Imagine printing a cheeseburger and having it taste just like Red Robin or Hardee’s. Novelty chocolates, sauces, cheeses, and more are already possible, and the New York Times recently featured an entire 3D printed meal that included eggplant, pizza and corn. This one is perhaps a no-brainer. 3D printing technology seems ideal for use in jewelry manufacture, particularly fashion jewelry. However, plastic isn’t the only material available. Gold and silver filament is already on the market, allowing jewelers and designers to bring their artistic creations to life in precious metals. As 3D printers become more advanced, look for even more printed jewelry on the market, not just from smaller companies, but from some of the big name designers in the industry. It will be especially important in the creation of limited-release items and custom creations. This is another industry that should be pretty obvious. However, there might be some surprises here. This new technology primarily deals with plastics, and that’s the material most toys are made from. Several companies are already creating toys for up to 10 times lower costs than what they previously enjoyed. The collectibles sector has also been revolutionized by this technology – there’s even a firm that offers full body scans to customers, and then transforms those scans into figurines, busts and action figures. The future is even brighter, with the potential for children to download their own 3D files and print toys right at home, complete with customizations they design on their own. It’s difficult to imagine an industry that could benefit more from additive manufacturing than architecture and design. This technology enables architects to take their blueprints and designs and transform them into true three-dimensional objects, not just computer simulations of those objects. One home renovation company in Holland is even already hard at work using this technology to create examples of what customers’ kitchens would look like with specific upgrades and changes. From skyscrapers to bathroom remodels, 3D printing is having an incredible impact on the architecture and design industry. These are only a few of the industries in which additive manufacturing has had an immense impact. It’s a global thing, affecting every industry imaginable, from automotive design and manufacturing to environmental protection. New low environmental impact filaments, the reduction of natural resource use, and the ability to print products from recycled materials also help make the world a greener, healthier place while providing economies of scale and greater efficiency to industries around the world. It’s an exciting thing. Even the home is being revolutionized, with consumers now able to print everything from new kitchen spatulas to replacement parts for their lawnmowers. It’s not done, either. 3D printing is finally hitting its stride and reaching maturity. Further technological advances, new materials and human ingenuity will place this technology in even more areas of our everyday lives. Is 'Nano Particles' the Future of Technology? Nano Particles-Are they going to be the future for storage of charges in batteries? Word is being spread out that nano particles when refined through a series of process, can store charges at much higher rate than any other batteries used in the current device. 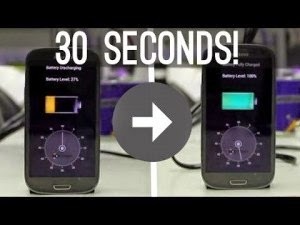 What would you do if you are told “Hey, you can recharge your phone in less than 30 seconds” Yeah and that’s what the manager of Storedot-a start-up company has promised its investor. Isn’t it cool? Storedot is a start-up which is gaining its attention in the market with its product buzzing in the recent times. The company CEO has addressed in a meeting that they are in the final stages of developing a product which is going to be the future of the world in the field of storage devices. They are trying to synthesize nano dots and combine its power so that they can pack up all the particles inside a phone battery so that within thirty seconds it can recharge a phone. However their production methods are still unknown. Since they have given their word that their product will be out in 2017 in the markets, investors have started pouring out in queue. Rumors being spread that Samsung have approached them for bonding. However they remain numb for answers. Hearing such improvement in technology particularly in storage devices will nano particles be the eye opener of future? Well when things are at stake new discoveries are made. Isn't it going to be one of them. I guess we have to wait and watch! How People Used to Blog in Olden Days? You must be feeling very fortunate to have computers, internet, gadgets and blogging platforms today, but have you ever thought how people used to share things to the world in olden days? Do they also blog? But how? Let’s see! How our fathers used to blog? My father have seen the birth and evolution of computers and internet but never used it the way we are using them now. My dad’s a writer. He always loved writing when he was young and he always wanted to write if he gets a chance. My passion for blogging(writing) might be an inheritance from him. He have written a couple of blogs in the form of spiral books. But I am the only one who got access to read after my dad. Remember blog view restrictions today? How our grandfathers used to blog? Our grandfathers might not even know how to use a pen and a book but yet used to blog. Very famous personalities who dedicated their lives to research their lives has never cared about writing about themselves(autobiographies). Our grandfather bloggers have took an opportunity to write about them in the form of biographies. Haven’t you read personal blogs of famous personalities ever? Not all blogs are truly maintained by themselves. Some are maintained by their followers and disciples. Remember 21st century’s genius Stephen Hawking joining Facebook? It might feel a bit awkward for you to read that people used to blog in king and kingdom time? Hold it right there! Because you would want feel more awkward in further reading. I remember from my expeditions about the scripts drafted on rock slates in the places of destroyed monuments. Poets, writers and wise men of King’s palaces used to rock! Yeah! they truly are. Rocks were the only reliable sources to write on at those times. Those rocks were used to kept in public places for social reach. Also, people use to write on cloths but they are written with limited access. You might have seen scholars of the place reading out loud their creatives in front of the king in movies also. How people before king times used to blog? Times before king times? And blogging? Yeah! I’m not screwed up not even trying to make you so. Believe me, reading further will be convincing. Long long ago before the time of kings, there were very less number of bloggers in the world who were actually extraordinary thinkers. They specified some principles to lead our lives well. Just like the bloggers in the grandfather times, followers of this age accumulated all the life leading ideas of great personalities and named them the Holy Book. ‘Holy Book’ is a wonderful title for a blog. Isn’t it? How people before ‘Holy Book’ times used to blog? Blogging before calendar times might let you down your eyebrows at me? Wait a second and hold it right there. Read he following point and then tell me I’m wrong. At the times of cavemen, people used to record their ideas, plans and creativity on rocks by painting on them. I still love to visit them often when I can. Really? Blogging is that old? Mark your calendars. Monday, December 1, 2014, is Cyber Monday. The first Monday after the Thanksgiving holiday is traditionally Cyber Monday. The event is online mayhem, and it allows shoppers to capitalize on the deep discounts that online retailers offer. Deep discounts are what draw online shoppers to Cyber Monday retailers; and by "deep," expect 20-80% off major brands. Many retailers such as Amazon offer cyber deals all week long despite the shopping focus being on Monday. Every online store offers something different. Savings on electronics such as laptops are insane. Cyber Monday is directly following Black Friday, and it is specifically for people who want deeply discounted consumer goods without dealing with the crowds. Nobody has been trampled yet at a Cyber Monday shopping event. Consumers should expect good sale prices from all the top online retailers such as Best Buy and Macy's. There are plenty of outstanding brands and sites where consumers save big bucks. However, the deals are not just on electronics. If you have a favorite department store, then plan on hitting up its online store on Cyber Monday. Many stores offer deals that are only available online. 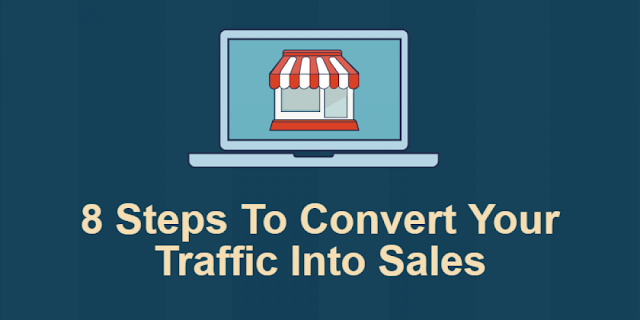 The benefit for stores is that they attract millions of online customers. The benefit for consumers is that the lines and throngs of people do not exist. It is just you and your computer, and many people find shopping without crowds pure awesomeness. The best tip for all consumers is to do your homework. Every online store will offer some type of web promotion or flyer that lists the deals. Look up the stores where you love to shop. Make notes of who has the best cyber sales for what items. Compare brands before you shop. Cyber Monday is crazy. Cut the crazy and reap the rewards by doing research and being an informed consumer. At this time of year, don't race out to buy the best new LG smartphone. Be a patient shopper and wait until Cyber Monday, and then enjoy the savings. Make a top five list. If you want a new laptop, make a list of the top five machines that you want. The limited availability of products and that there are millions of online shoppers means that some models will go lightning fast. Be prepared with your backup choices for brands and models. That is how you win on Cyber Monday. Focus your attention on the items that you need or want. This is not just about holiday shopping. If you need a new computer, then Cyber Monday is likely the best time to find the best discounts. Think outside of the box. Almost anything sold online is fair game for a Cyber Monday sales blitz, including travel deals, new appliances, and even new cars. Make multiple online transactions. Not every online store will hold your in-cart items. If you find the world's greatest deal, buy it quickly. If you wait to fill up your shopping cart, you might find that some items have sold out while you were shopping. Make a budget and stick to it. Make a list and stick to it. The savings and shopping frenzy during Cyber Monday make it tempting to spend way more money than you intend to spend. Set limits, and focus just on the items that you have put on your list. Just because it is Cyber Monday does not mean that you must spend irresponsibly. With Cyber Monday coming up quickly, now is the best time to start all of your pre-shopping chores. Follow the above tips to reap the best rewards without breaking the bank. Cyber Monday offers consumers savings for holiday shopping or those occasional big-ticket purchases, such as a new flat-screen TV. Whether you are shopping for yourself, family, or friends, the time that you put in now will show in the end. If you have a big-ticket item on your to-buy list, chances are that you will find it on sale during the online mega-sale come December 1, 2014.